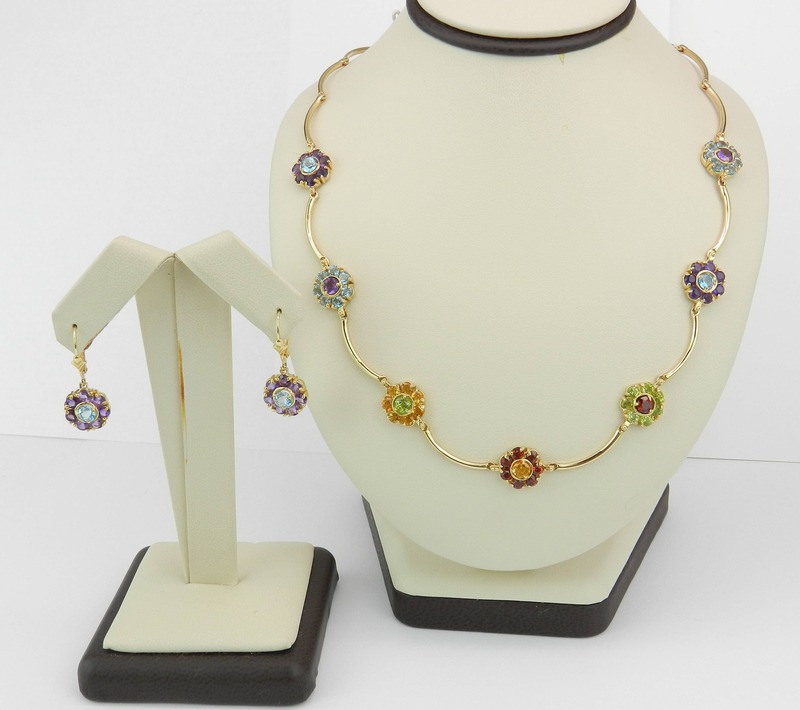 14K Yellow Gold Blue Topaz, Amethyst, Peridot, Garnet and Citrine Necklace with Matching Dangle Drop Earrings. 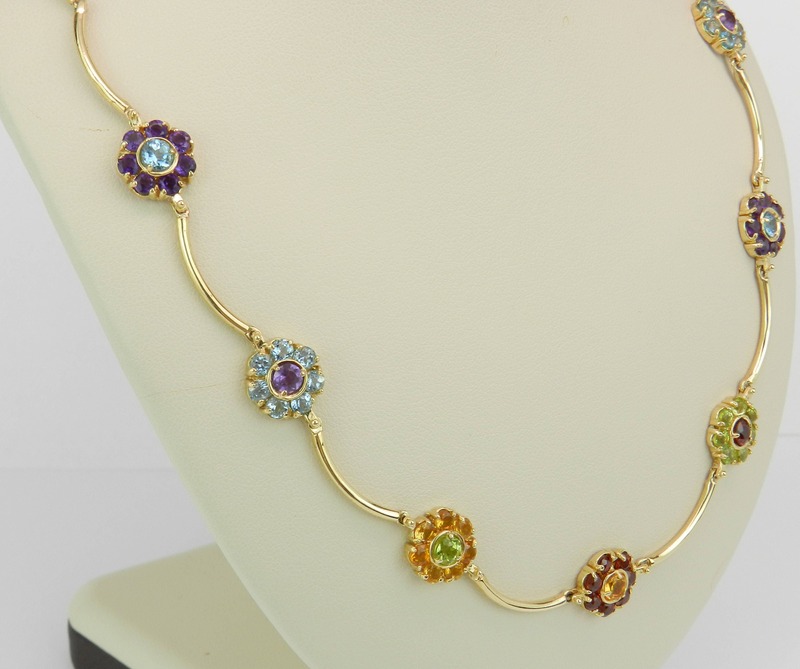 This Necklace is set with sixteen Round Blue Topaz, sixteen Round Amethyst, eight Peridot, eight Garnets, and eight Citrine. 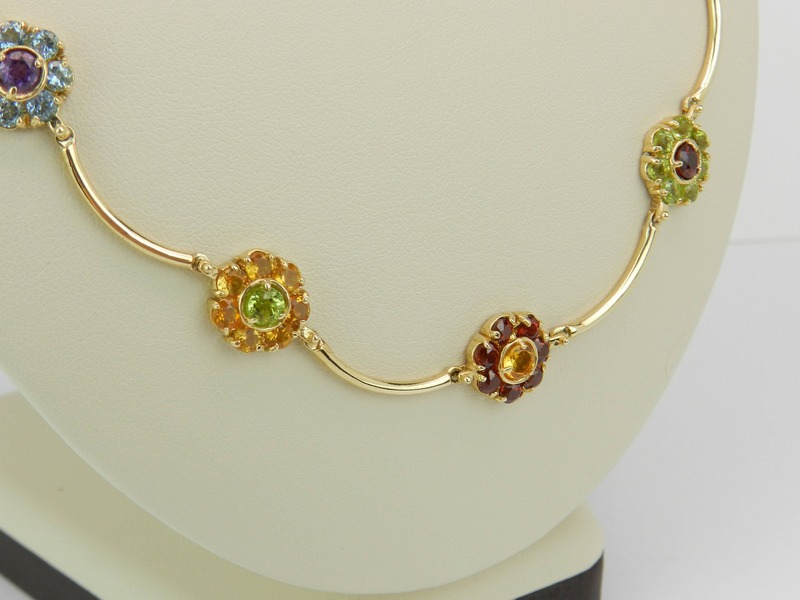 These gemstones are 100% genuine and amount to a total weight of 6 1/2 carats. 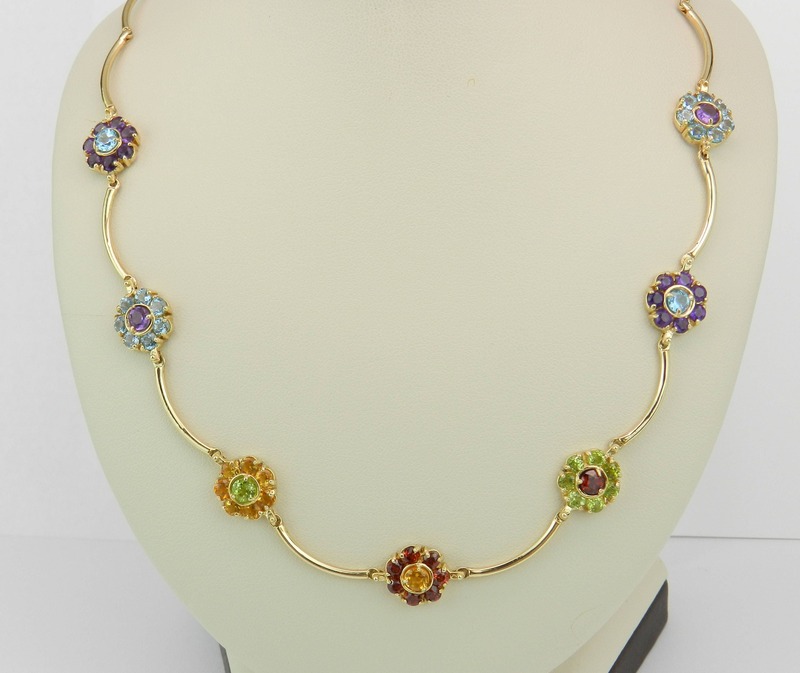 This necklace measures 16 1/2" in length and weighs 19.4 grams. 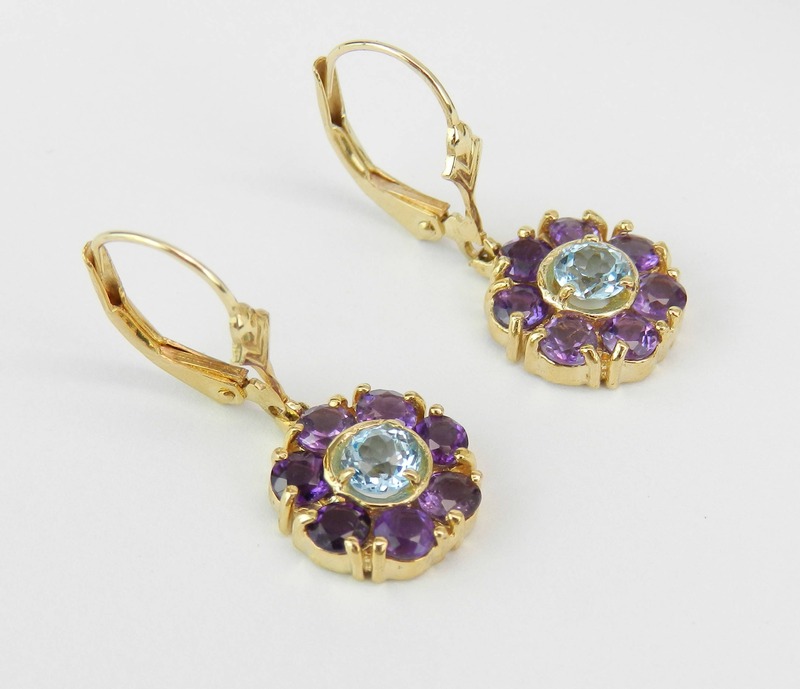 The matching Earrings are set with fourteen Amethyst and two Blue Topaz for a total weight of 1 carat. These earrings are also 14K Yellow Gold and weigh a total of 3.6 grams. 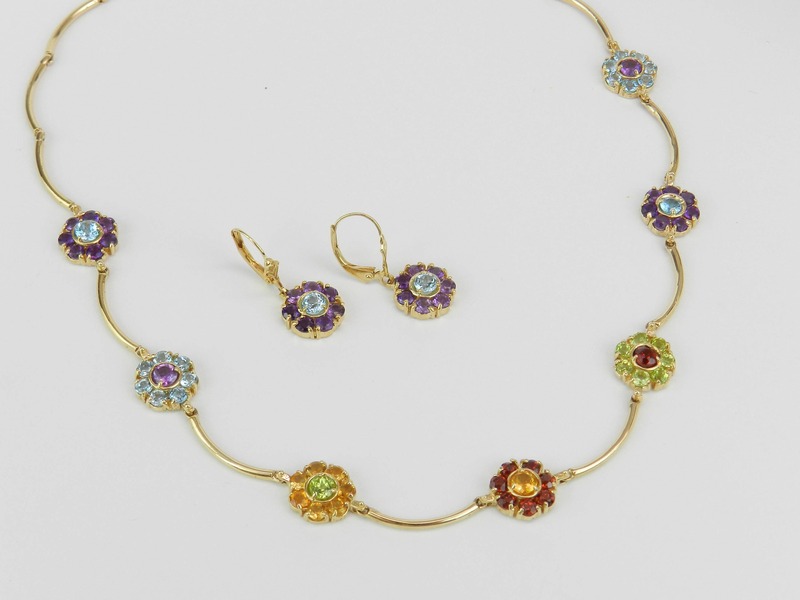 This necklace and earrings set will be accompanied by an appraisal written by a GIA Certified Diamond Grader with the retail replacement value of $3,795.00. I will ship this set promptly in a beautiful gift box.